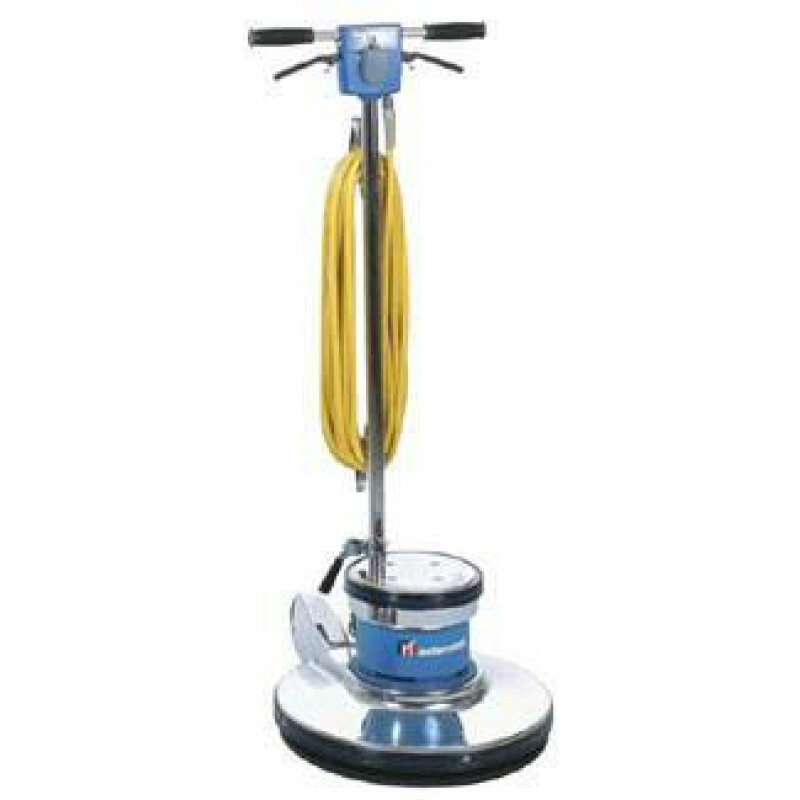 Our 20 inch dual speed floor buffers are great machines for buffing and scrubbing floors, due to their dual speeds. The 1.5 HP motor, and the triple planetary transmission are more than powerful enough to handle the most adverse and stressful jobs you can throw at this machine. Use the low speed setting to strip floors with one of our floor stripping chemicals. The high speed setting is great for buffing floors with our restore floor buffing solution. This machine can also be used for carpet bonneting, heavy duty scrubbing, and some sanding jobs. 120 Volt 60-Cycle motor, with a 66-style frame. Permanent magnet, DC rectified for AC operation. Non-marring bumper prevents damage to furniture and walls. Heavy duty switch is set in a die cast aluminum switch box, which won't rust or chip.